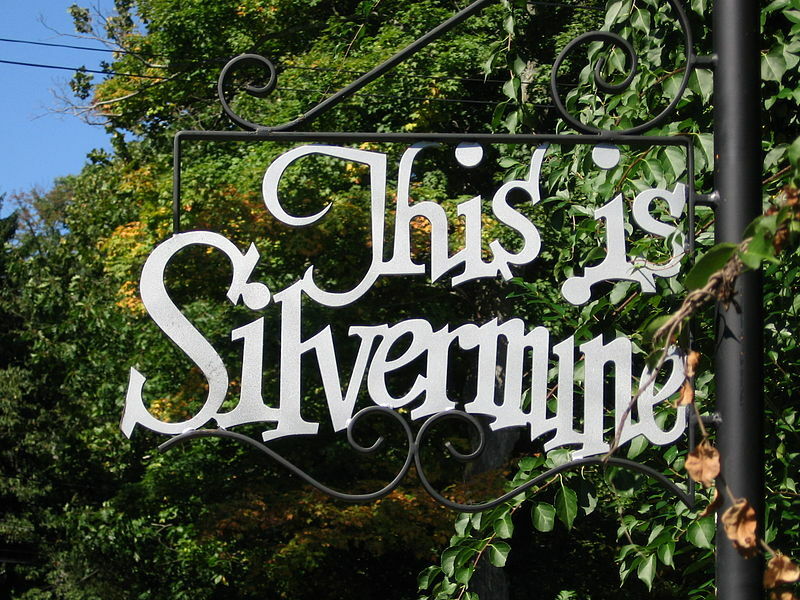 The Silvermine Market has been serving the tight-knit artistic Silvermine community since the late 19th century. 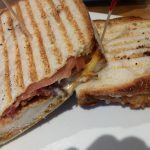 These days, it’s a much loved eatery with salads, sandwiches, homemade soups, and prepared entrees. 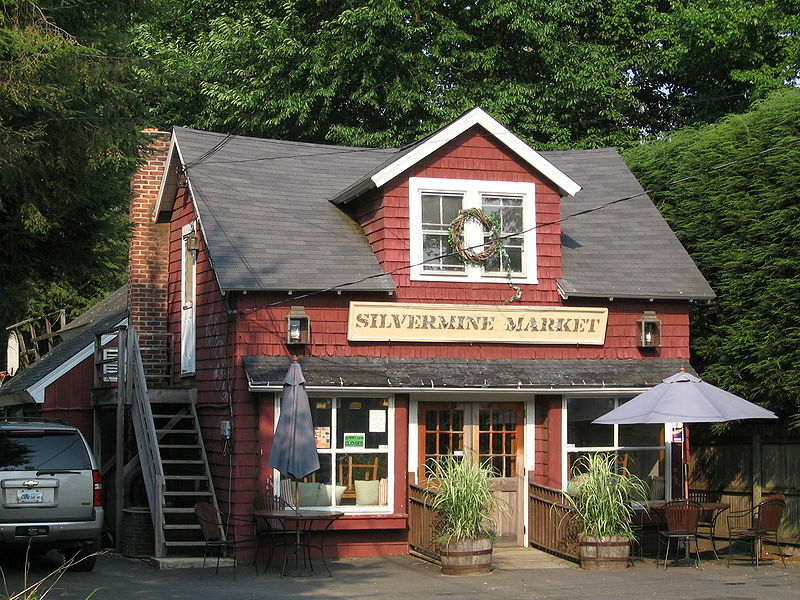 In days gone by, it was a grocery store and butcher shop provisioning the artists, millwrights, and farmers, who lived in the scenic valley along the Silvermine River. 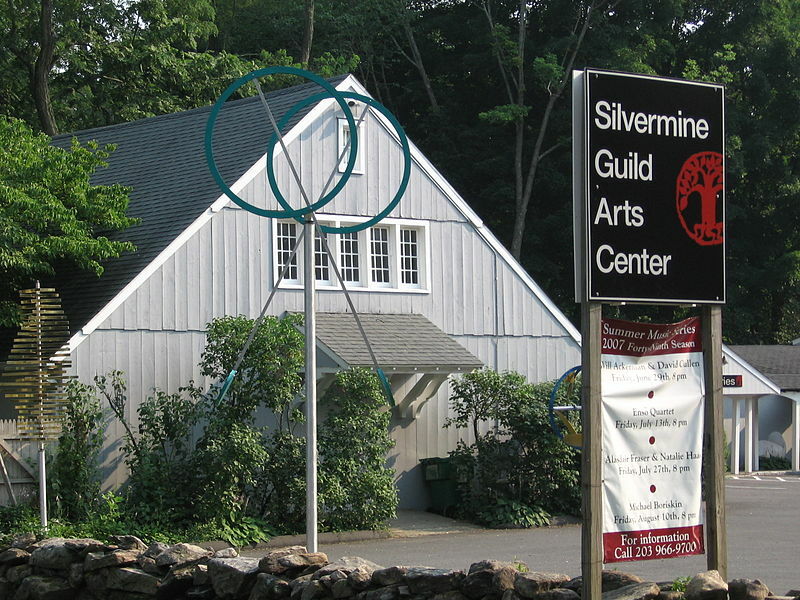 Just across the street, The Silvermine Arts Center, including The Galleries, an active School of Art teaching all media, and a 300 member Guild of Artists, sustains the community’s artistic traditions. 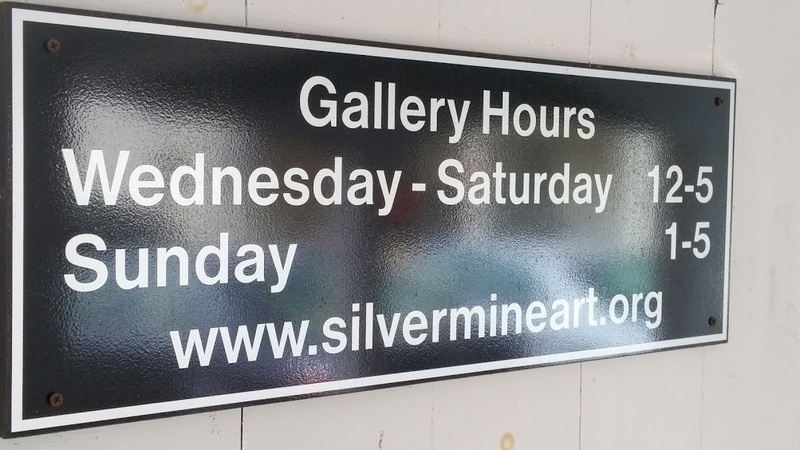 With its art filled campus, rotating schedule of exhibits, and lunch a quick walk away, Silvermine is a charming place to spend a few hours. The historic Market building dates from about 1860. 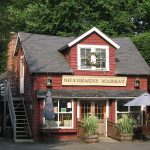 In the late 19th century the Guthrie family opened a store to supply the area where Norwalk, New Canaan, and Wilton meet along the Silvermine River. Since then it has morphed from a store to a busy café. It’s always been a destination for local kids to walk or ride their bikes for a sweet treat. Now, the crowd includes a mix of locals, artists, and tradesmen – all enjoying the fresh and tasty fare. 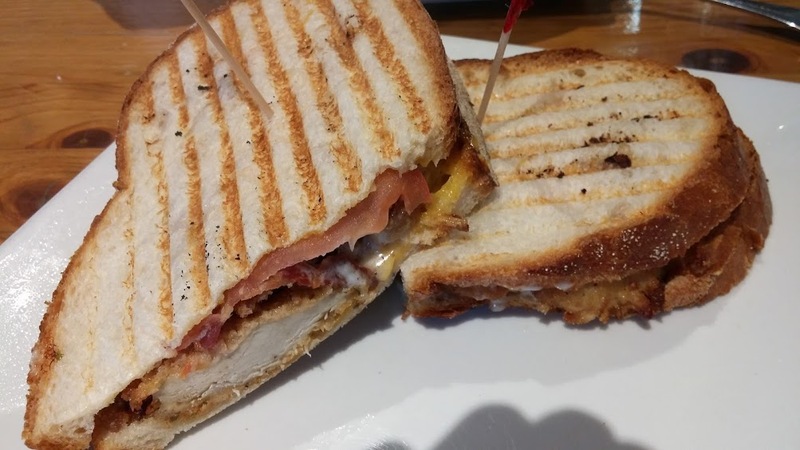 Lunch can be quick or leisurely, and it’s a convenient spot for informal meetings. When the weather warms, the few outside tables are much in demand. Year round it’s always cozy in the wood-paneled dining area with historic pictures on the walls and charming wheelbarrow napkin holders on the butcher block tables. 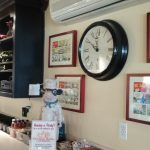 There is a collection of cookbooks shelved behind the counter next to some framed “Hi and Lois” cartoons that are produced locally and feature the Market. 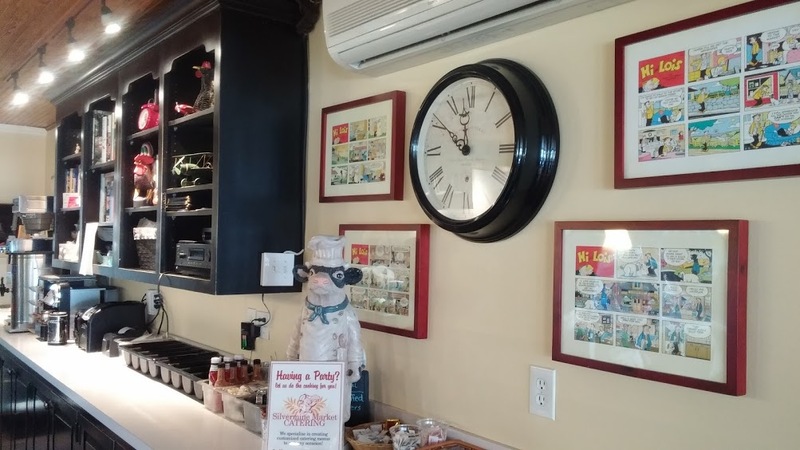 Step up to the extensive wall-mounted menu and take some time to consider your options: Salads, Sandwiches, Wraps, and Homemade Soups. 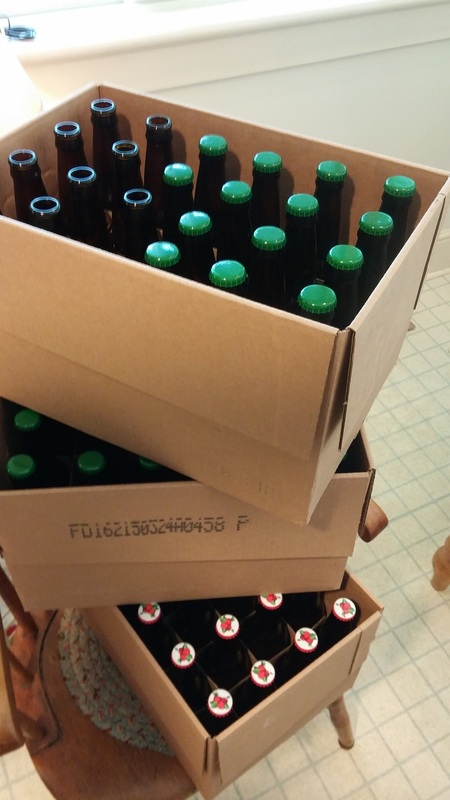 The regulars head right to the counter, ready with their choice. 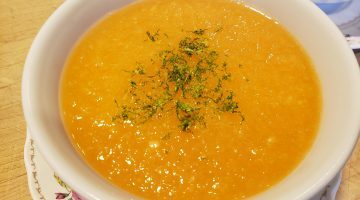 The hearty food is simple and satisfying, prepared with care and quality ingredients, and cheerfully served. 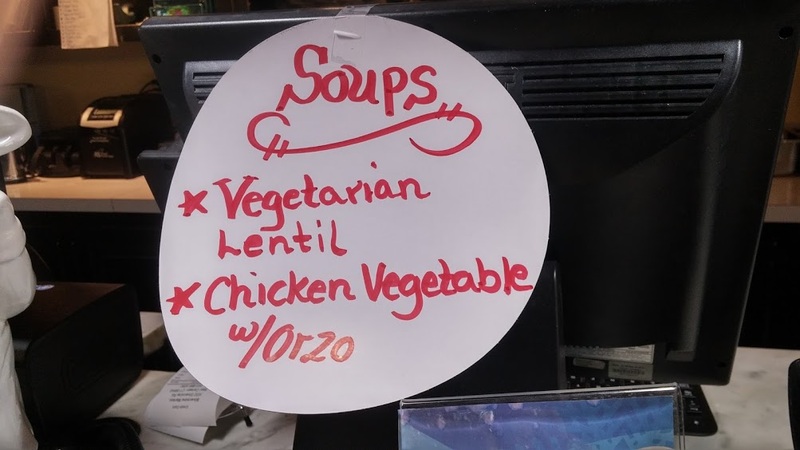 Soups are special at the Market. 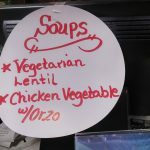 Vegetarian Lentil and Chicken Vegetable with Orzo were the choices on our recent visit. 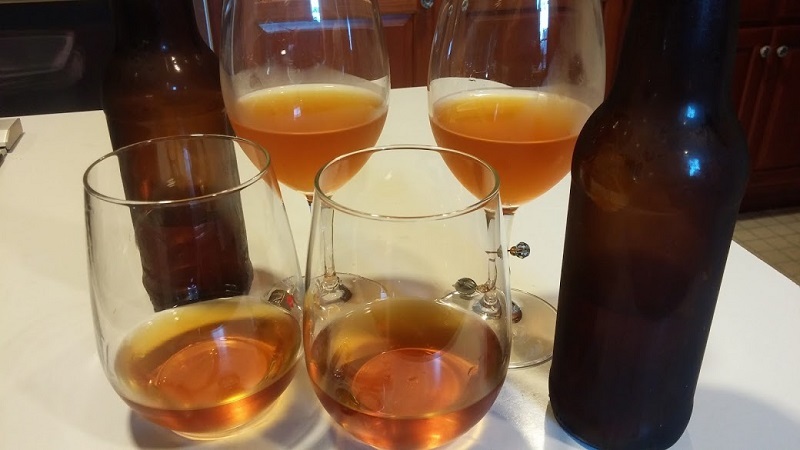 Filled with chicken and bright chunks of carrot in a rich broth, it was good to the last drop. 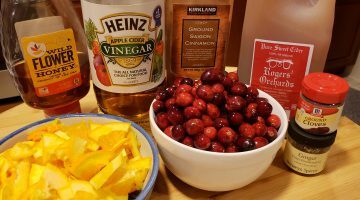 You might also see Corn Chowder, Cream of Broccoli, or Italian Wedding depending on the cook’s whim. After a satisfying lunch step across the street for a sculpture walk around the Arts Center and a trip through the Gallery. The campus includes the gallery, studio space, metal workshops, and a ceramic atelier as well as a picturesque pond. It’s lovely to stroll around on a nice day. 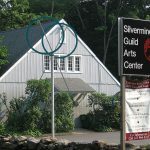 Founded in 1922 by sculptor Solon Borglum and his fellow Silvermine area artists, The Arts Center has become a nationally recognized arts magnet. The Guild, the oldest in the country, has over 300 artist members selected by peer juries. 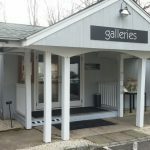 The school’s thick catalog offers courses and workshops from beginner to expert covering a wide range of art techniques taught by experienced working artists. 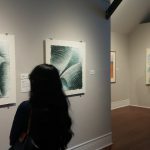 The Galleries show more than 20 curated exhibits each year including the Art of The Northeast, a prestigious juried show begun in 1949. 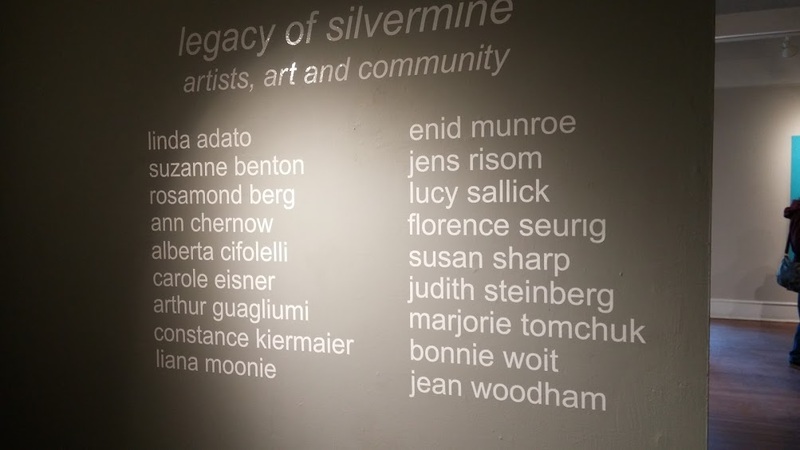 We were drawn in by the current show – Legacy of Silvermine: Artists, Art, and Community. As the Arts Center anticipates its 100th Anniversary, it’s taking a look back at the work of some of the early members, all born in the first half of the twentieth century. 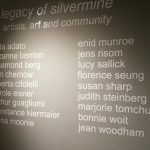 All have achieved art-world prominence from their Silvermine artistic home. 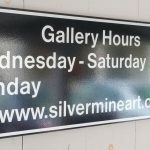 Including 18 artists covering a wide range of styles and techniques, the show is an eclectic survey of some of the best art to come out of our region. 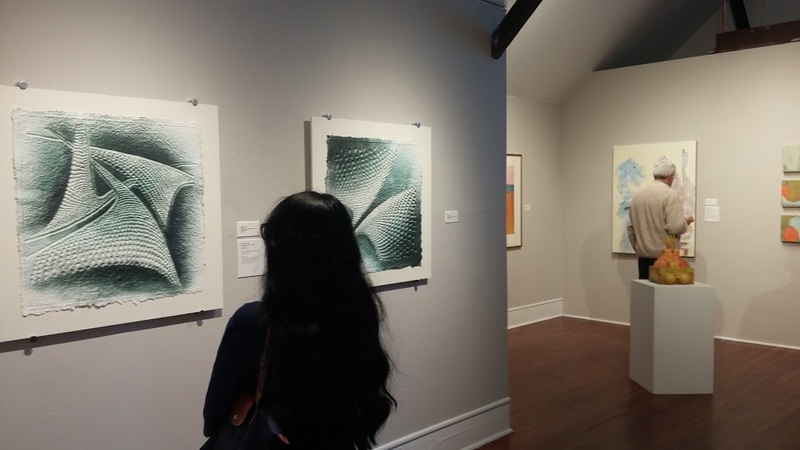 The show is an opportunity to see a lots of high level art all at once: paintings, abstract and representational; works on paper, including some that are almost sculptural; sculpture, both large and small; and mixed media works with fabric, found objects and more. In a show this diverse you’re bound to find something that intrigues and enthrals. 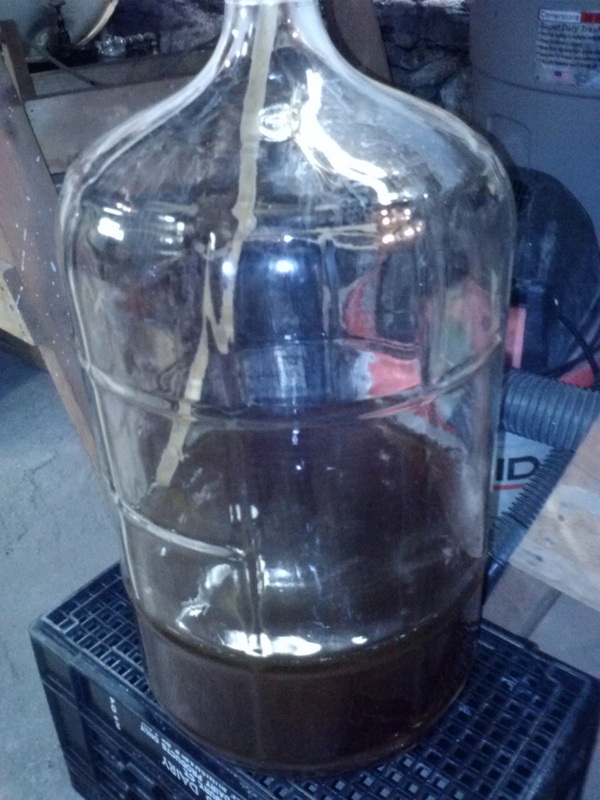 There’s a lecture scheduled for March 19 at 2:00 pm that will explore the show in more depth. Given the quantity and quality of fascinating art, it would definitely be worthwhile to hear how and why these particular artists and works were chosen. 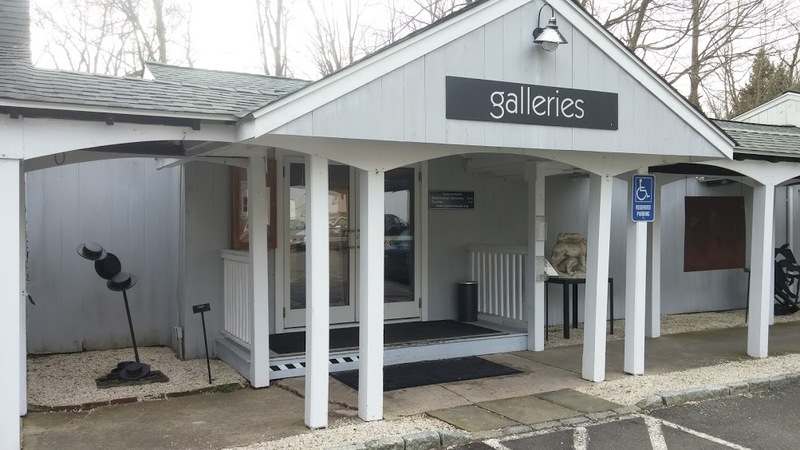 The Gallery at 1037 Silvermine Road in New Canaan is open Wednesday through Saturday, Noon to 5:00. 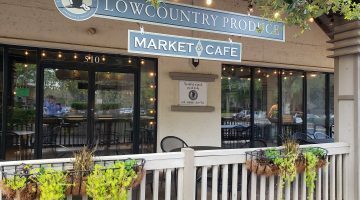 The Market, right across the street, offers lunch daily. 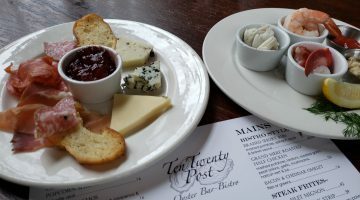 Put the two together for an afternoon of delicious food and engaging art.